This one-day course provides an opportunity to learn safe and responsible use of handguns. Taught by an NRA certified pistol instructor, basic pistol shooting is designed to teach handgun safety, operation, and shooting fundamentals. 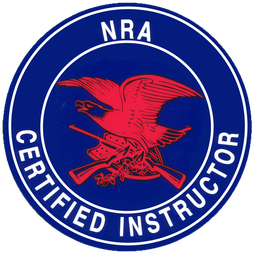 An "NRA Basic Pistol Course" certificate will be awarded on successful completion of the course. What to Bring: 200-300 rounds .22 caliber, long-rifle, ammunition. Available at Sure-Shot (Kittitas), Three Forks Ammo and Reloading (Cle Elum), Kittitas County Trading Company, Bimart (Ellensburg), Coastal or Cabela’s in Yakima. Please purchase what you need in advance of the class. The range will provide the handguns, Ruger Mark III target models. Eye and ear protection will be available if you don’t have your own. Please contact Marilyn Mason at 509.962.3002 for information and registration or request information by filling in your information in the fields below. Please fill in your information in the fields provided.